Those of you who know me personally probably know that I run a cartoon communication business alongside my social collaboration work. These two worlds overlapped couple of weeks ago when I decided to take my iPad and stylus to the Enterprise 2.0 Summit in London, and SharePoint Saturday tech conference in Burbage, Leicestershire. My aim was to turn speakers’ key points into quick cartoons on the iPad and then post them on Twitter so that they would catch the eye of the conference participants. This way I could not only do my part in promoting these high quality events (cartoons are excellent social media fodder) but also delight the attendees in the process! 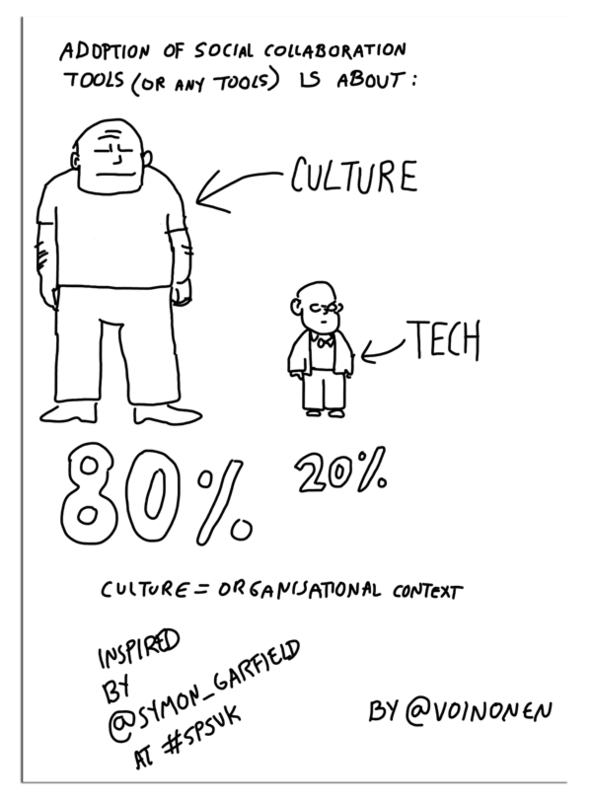 Cartoon from SharePoint Saturday UK 2014. SharePoint Saturday was slightly more challenging event for me because it had a strong focus on knowledge sharing between techies (and I’m not a techie). But I managed to draw couple of cartoons on the bigger themes like the challenges of enterprise search. You can download the Enterprise 2.0 Summit cartoons here and the SharePoint Saturday cartoons here. Feel free to use them on your blog, website etc (but if you could link back to www.BusinessGoesSocial.net or www.Businessillustrator.com site that would be great). If you want to receive cool visuals and training materials on social collaboration, please subscribe to my newsletter! 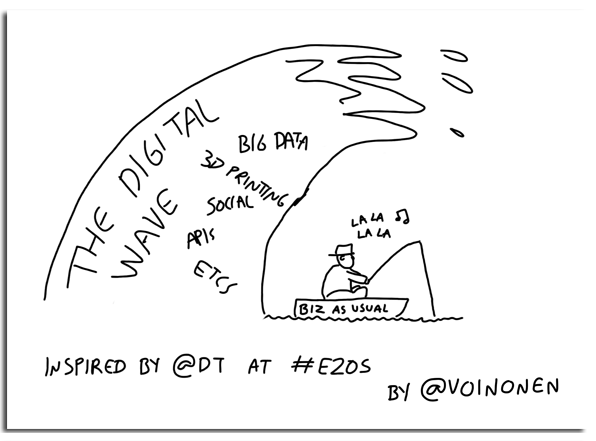 I love the digital wave cartoon, may I use it to promote a non-profit “digital change” for small business event I am running in Dublin at the end of October? Happy to pay if needs be. Thanks Virpi – you are very kind. We may use it on a poster and leaflet also. Businessillustrator.com will be credited for every use.